Readers, this one is for Melbourne residents. 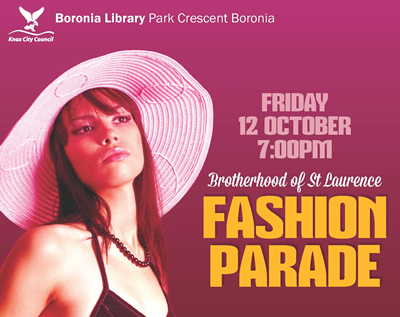 On Friday 12th October, Boronia Library is hosting a fashion parade, in conjunction with the Brotherhood of St Laurence. The event will raise money for the Jane Mcgrath Foundation, with a $5 entry fee (which includes refreshments) going toward the breast cancer support foundation. All fashion items featured in the parade are pre-loved, and for sale on the night, plus they'll be a chance to win two tickets to see fashion Meets Fiction - The Darnell collection at Burrinja Cultural Centre in Upwey. 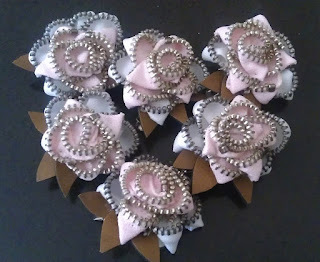 I'll be there on the night, providing some up-cycling fashion advice, and will also be selling my pink zipper brooches, with all profits on the night going toward the McGrath Foundation. 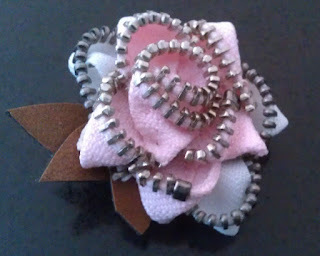 More details on the fashion show here. Maybe I'll see you there?